Awhile back, I read Crazy Rich Asians in anticipation of the movie coming out. I wanted to know if it was something that I may be interested in. I definitely was, as you can tell if you read my review. Two of my bookish friends were also working on reading it (one already had, the other had heard only positives), so we decided to go see it together. It was neat to experience the movie after the book (which is always a nail biting situation). We finally saw it this past weekend! Oh my goodness, this movie was the very definition of extra! The sets, the clothing, the cars; it was just 100% over the top…which is perfectly true to the book. 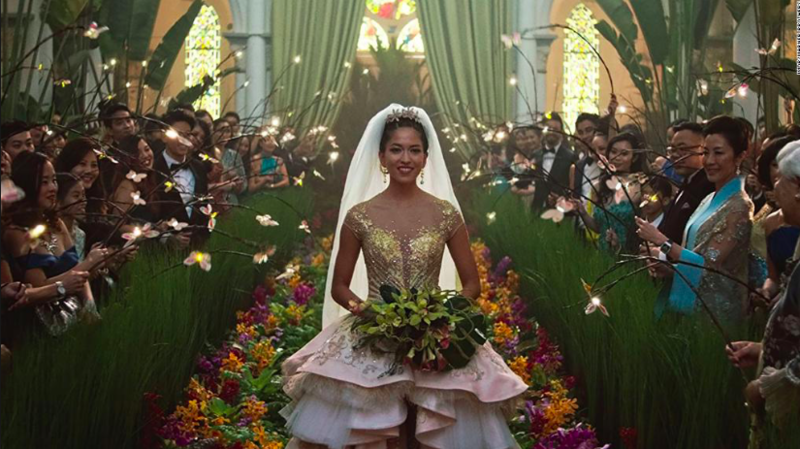 Crazy Rich Asians is about a girl who is thrown into the world of Singapore’s richest by (unknowingly) dating the most eligible bachelor. They show up, she’s not accepted, it’s rough. But its so darn romantic! The night before we went, I was at a party where someone had seen it earlier that day. They said it wasn’t groundbreaking, except for the cast. Part of me was bummed out, until I realized something – its a rom-com! Now groundbreaking plot needed; I’m watching this movie for the romantic bits and Peik Lin! Yes, the cast was incredible. Seeing so many eastern faces filling up the screen was inspiring, and I’m not kidding when I say that Peik Lin (Awqwafina) steals the movie. This wedding scene was really what hammered home just how much these characters enjoy their excess. This movie is exactly what it needs to be, a rom-com with a phenomenal cast. I think one of the things we expect of minority movies (Wonder Woman, Crazy Rich Asians, etc) is that they have to be obscenely amazing, in plot and casting and everything else. We need groundbreaking. But we don’t always consider that there are some average white dudes making movies that we’ll see no matter what. But we require that minority movies be mind glowingly important. This movie isn’t a drop dead necessity based on plot alone. 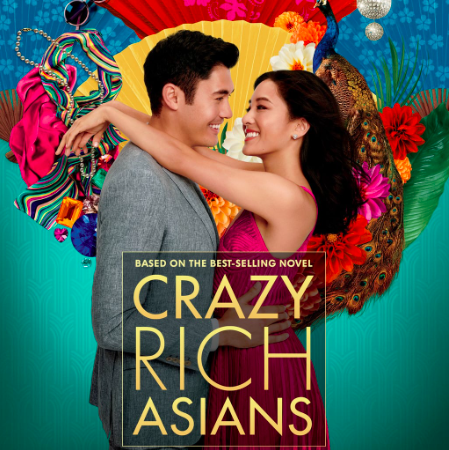 I stand by the “everything is extra af” sentiment I made earlier, but I don’t think that is the reason to see Crazy Rich Asians. I think CRA is what you need to see if you’re looking for a fun movie to watch. It is a fun book as well; I had no idea that Singapore had such a large population of powerful families, but it makes sense! Bottom line: this is a fun rom-com. Don’t expect a wildly powerful plot, but expect to fall in love with the characters and their lavish lifestyles.